You’ve finally finished building your website. Wouldn’t it be nice to be able to make changes and update your content without you or your staff having to call your web designer or developer every time you need changes made. We offer an economic solution to the problem. WordPress is an open source content management framework that gives customers access to their web content. We can build your website to your exact specifications, then integrate the WordPress framework to meet your specific content management needs. 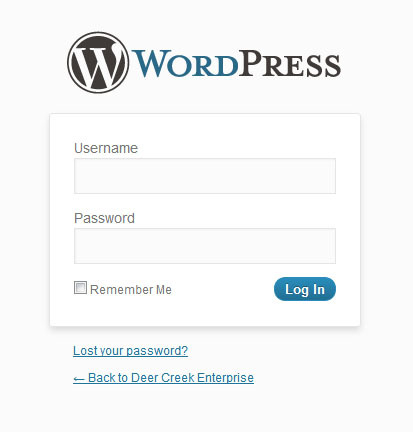 Even if you have an existing website we can still integrate WordPress. If you already have a website that has been built with WordPress we can customize it to meet your exact requirements. Once you have logged in you will have access to your pages and articles. 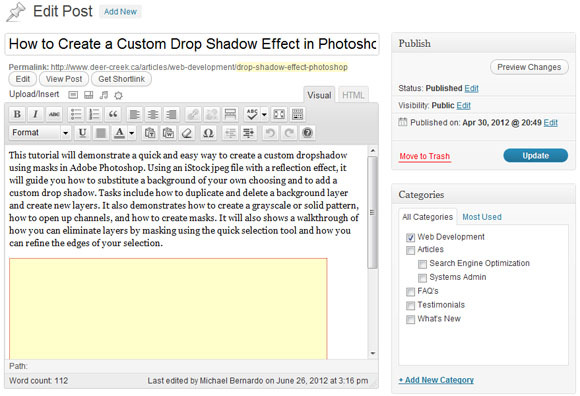 You can edit and add new content using the edit window shown in the image below. This provides you with standard word processing style controls and editing features. You can upload and add pictures and other media. This is WordPress content management at its most basic level and is all you really need to learn to get started in maintaining your own website. Once you are familiar with WordPress, you can take advantage of other features like menus, widgets and plugins that provide additional control of your website, all of which we can integrate on a customized basis to meet your exact content management requirements. We can also provide training and support as needed although you will find that little training is necessary to get going with your site.